We are a leading Exporter of solar pumps for irrigation and shakti pumps from Vadodara, India. We are a coveted organization that is engaged in manufacturing, supplying and exporting Solar Pumps for Irrigation. The offered Solar Pumps are offered by us in various specifications as per clients’ demands. Latest equipment and advanced technology are utilized by our experienced professionals in the manufacturing process following standards & norms of the industry. We are amongst the most reputed names in the industry, offering Shakti Pumps. 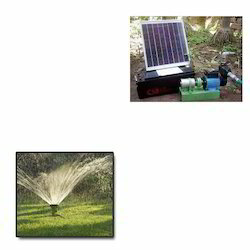 Looking for Solar Pumps for Irrigation ?